"Willingham was a monster. This was a guy who murdered his three children, who tried to beat his wife into abortion." "At the end of this, I think what you will find, that an absolute monster who killed his own kids and the science is going to be there to back it up." "And I think at the end of the day, this is what Texans will see and agree with, that this was a very, very bad man who killed his kids." Rick Perry and many of the Texas powers-that-be fear Cameron Todd Willingham, now more than ever, though they killed him more than six years ago. They have been working mightly to eviscerate the Texas Forensic Science Commission for fear it might describe the arson science associated with the Willingham trial to be crapalicious. Today, Navarro County DA R. Lowell Thompson ran crying (not literally) from the District Judge Charlie Baird's courtroom to tell on him. While choking back the tears (not literally), R. Lowell told the 3rd Court of Appeals that Judge Baird was going to (gasp!) 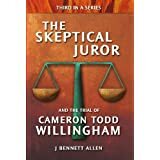 allow testimony in a Court of Inquiry regarding the possible guilt or innocence of Cameron Todd Willingham. The 3rd said "Stop it." In an emergency stay, the 3rd Court of Appeals ordered state District Judge Charlie Baird not to rule in the case of Cameron Todd Willingham, executed in 2004 for the murder of his three young children. Innocence Project lawyers, who are seeking to clear Willingham's name, have until Oct. 22 to respond. The 3rd Court's ruling was prompted by a petition by Navarro County District Attorney R. Lowell Thompson, who earlier had failed in persuading Baird to recuse himself. Thompson contended Baird had not followed state law governing such hearings. Earlier Thursday, lawyers and expert witnesses told Baird that bogus science and a career criminal's courtroom lies sent the 36-year-old auto mechanic to his execution. As Willingham's mother and cousin stiffly sat on the courtroom's front bench, fire experts Gerald Hurst and John Lentini testified that not only was a fire inspector's testimony in Willingham's trial based on bad science but that his interpretations were "totally off the wall." Thursday's testimony came in a court of inquiry one day before the Texas Forensic Science Commission was set to hold a meeting in Austin. Willingham's case is on today's commission agenda. "Every shred of evidence points to his innocence," said former Gov. Mark White, a member of the Innocence Project's legal team. White called the series of legal events leading to Willingham's execution "a failure of the system." White excoriated people with responsibility for the manner in which a critical review of arson investigators' testimony was handled in the days leading to the execution. Hurst testified that his report was submitted four days before Willingham was to be put to death, but a fax introduced as evidence showed that Gov. Rick Perry got the report little more than a hour before the lethal drugs were administered. "There were no indications of arson," Hurst said in explaining how assistant state Fire Marshal Manuel Vasquez misconstrued evidence. Lentini, who with four other fire experts also reviewed the investigation, said that all 20 of the indicators Vasquez cited as evidence of arson were bogus. A San Antonio lawyer, Gerald Goldstein, another member of the Innocence Project team, told Baird that "jailhouse snitch" Johnny Webb twice recanted his earlier trial testimony that Willingham had confessed to killing his children. Tracing Webb's criminal career to 1987, Goldstein called the man "a cornucopia of crime." Prosecutors bought Webb's testimony, Goldstein charged, by downgrading an aggravating robbery sentence and arranging an early parole. Webb first submitted a handwritten motion recanting his testimony in March 2000, Goldstein said. But authorities never provided it to Willingham's appeals lawyer. "I can't think of a remedy to overcome the harm that's been done," White said in concluding the Innocence Project presentation. "It's a signal to the court, to the leaders of the state, to the Legislature, that it's time for a change in the way we hand out these sentences." 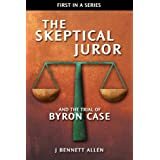 Jailhouse snitch Johnny Webb makes an early appearance in The Skeptical Juror and The Trial of Cameron Todd Willingham, scheduled for release as soon as I can get my fingers to do my bidding. For now, I'll provide a few actual questions and answers from his testimony. Keep in mind the comment from just above that "Prosecutors bought Webb's testimony ... by downgrading an aggravating robbery sentence and arranging an early parole." Keep in mind as well that Johnny Webb had a bit of a drug problem. “How old are you, Johnny?” >> Twenty-two. “You have had a rather extensive criminal history, have you not?” >> Yes, sir, I have. “You've been charged and convicted one time or another for stealing a car, is that right?” >> Yes. “Of delivery of marijuana?” >> Yes, sir. “And of burglary, in addition to the robbery, is that right?” >> Yes, sir. “Johnny, what is your problem as far as not being able to stay out of trouble?” >> Drugs. “I take it you are off drugs now.” >> Yes, I am, except for the medication. “Okay. You have any trouble with mental impairment or anything like that, Johnny?” >> Not always. Then Johnny Webb is asked to identify the defendant. “Is that the same Todd Willingham that is present here in this courtroom today?” >> Yes, it is. “Is he here seated at the counsel table with his defense attorneys?” >> Do what? Later he is asked if his testimony has been purchased. “Johnny, have I ever promised you anything in return for your testimony in this case?” >> No, sir, you haven't. “As a matter of fact, I told you there is nothing I can do for you.” >> You said there was nothing that no one can do for me. Johnny Webb was the prosecution's lead witness in the trial of Cameron Todd Willingham. 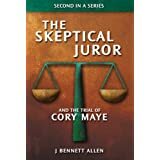 As a skeptical juror, would you have believed the prosecution when they had a jailhouse snitch tell you he would receive no payoff for his testimony? Would you begin to doubt the prosecution case immediately? I've purloined two video news reports from yesterday's proceedings. If you prefer, you can view them directly from YouTube here and here.